Immaculate move-in ready 1,375 sqft unit in Fallingwater! The two bright south-facing bedrooms live like two generous master suites. Designer paint colors, gorgeous remodeled master bath. Huge walk-in closets! High ceilings w/ great open flow from the Kitchen into the living areas & balcony. Roomy attached garage w/ secure walk-up directly into the unit (the wide staircase would accommodate a stair lift if necessary). Main floor laundry room & all appliances included! A nice trail is outside your door...stroll by the creek to the wonderful community center/clubhouse with up to date fitness area, outdoor pool and hot tub, grilling area, business center, community room w/ catering kitchen & more! This is a well maintained gated community and this no maintenance condo is really a special find - in impeccable condition for the price-point! Additl (2nd) parking space outside of the attached garage. New water heater (in 2017). 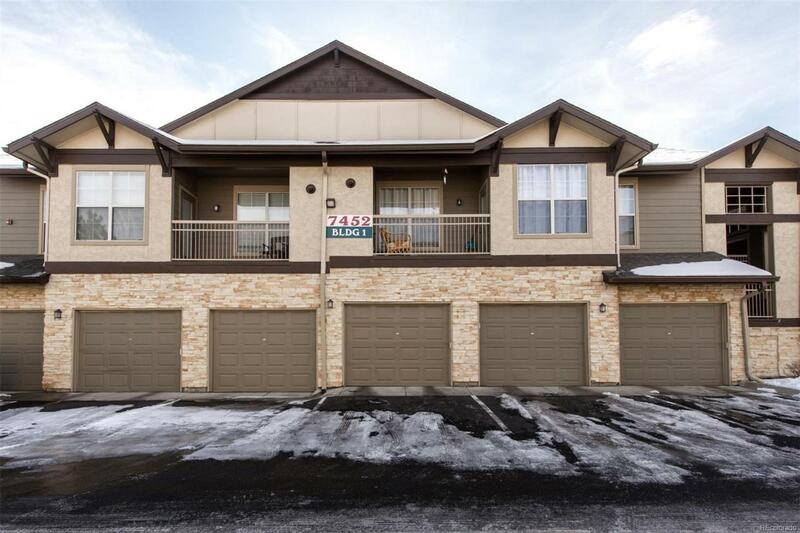 Great location -close to C470, grocery, dining, shops & the bus.